When life gives you lemons, we’re told to make lemonade. 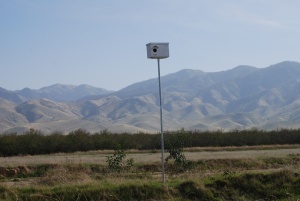 But when troubled times came to Glenn Prichard earlier this year, he decided to go a different route and, instead of a frosty tart beverage, this Santa Clarita resident took up the task of creating and distributing nesting boxes so farmers can go organic and barn owls can find safe homes. Once a league pitcher on a farm team for the Anaheim Angels (“drafted me right out of high school; played for five years before two elbow operations”), Prichard headed up his own construction company for 30 years. But with a downturned economy, he now finds satisfaction creating structures on a smaller scale – ones that connect wildlife to local farmers in a symbiotic way. Like most great ideas, the notion of working with owls came to him happenstance and through connections. 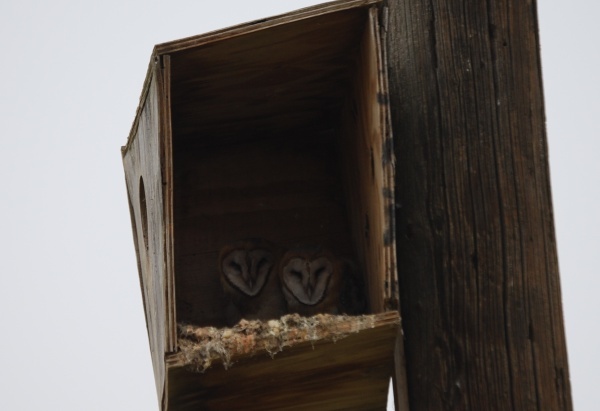 Brain wheels in motion, Prichard became a quick and avid student of barn owls and nesting boxes. He talked with raptor experts (“barns owls are cavity dwellers, they have been known to tunnel inside hay bales to make nests”), read everything he could find about the bird (“they are nocturnal birds that swallow their prey whole”) and explored what makes a good nesting box (“a baffle wall protects the nesting eggs from unwanted paws”). 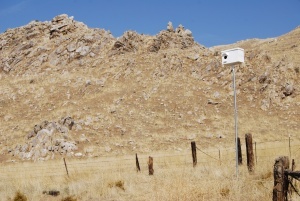 Overall, nesting boxes are relatively new additions to farms; a trend started in the late 1980s when “sustainable” was a new concept. By encouraging barn owls onto their property, farmers use the raptor’s natural hunger to keep pests – such as gophers, rats, field mice, voles and more – from destroying precious crops. 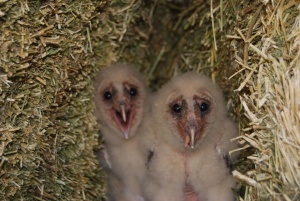 No need for poisons and traps since barn owls are effective and always ready for another meal, especially when there are babies with open beaks back home. The raptors are not territorial (you can have a lot of owls in the area, they don’t mind the company), don’t migrate, only hunt at night, and will keep coming back if there’s enough food and shelter. Prichard established his newest venture this year, Nature’s Remedy, and through it, he offers nesting boxes, (handmade by a local disabled war veteran) and lifetime maintenance on leasing boxes for any size farms. He assists farmers in placing the right size boxes in the right location. 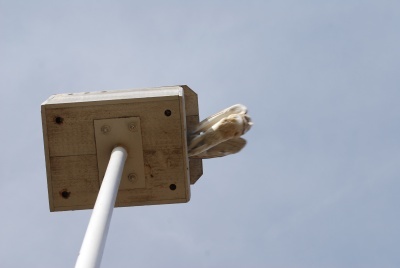 Too often, he discovered boxes were routinely placed on power poles (“a big no-no!”) and affixing them to trees only invites raccoons and other hungry critters to go after eggs and owlets. 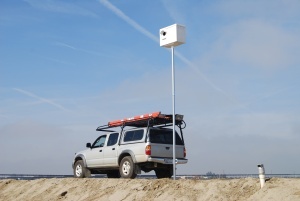 The best solution is putting a nesting box on atop a platform on a free-standing pole. Voila – a room with a view. Today, Prichard travels farmlands erecting and cleaning nesting boxes as well as preaching the gospel of Let Nature Help You. “Part of what I do when I’m out there in the fields is education, helping farmers understand that baiting and trapping pests can lead to other problems, especially when you leave poisoned animals out there for others to eat,” he says. In the last six months, Prichard has placed 60 boxes at area farms. On the average, boxes cost about $100 to make and $250 to maintain for its life span with is about 5-7 years. Prichard’s goal is to place as many as he can, but he’s discovered that even asking what seems like a small amount for his goods and services doesn’t fit in many farm budgets. Some farms can accommodate up to 30 boxes; acreage is after all, everything. Click here to learn more about the HOOT project.